bronze, 100 x 90 x 39 in. bronze, 56 x 42 x 24 in. bronze, 24 x 14 x 31in. bronze, 24 x 14 x 26 in. bronze, 24.75 x 29.5 x 15 in. bronze, 30 x 35 x 18.5 in. bronze, 47 x 41.75 x 21.75 in. bronze, 16 x 12 x 14 in. bronze, 10 x 20.5 x 9 in. charcoal on paper, 42.25 x 36 in. Musician, 1998, charcoal on paper, 42.25 x 36 in. The Duke, 1998, charcoal on paper, 42.25 x 36 in. bronze, 65 x 72 x 40 in. 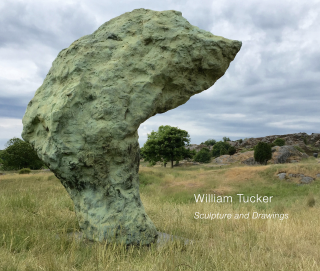 Danese/Corey is pleased to announce its inaugural exhibition of sculpture and drawings by William Tucker. Focusing on three series Horses, Imaginary Portraits, and Oedipus, the works span Tucker’s career from 1986 to 2017. 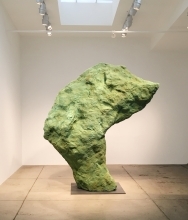 Tucker’s sculptures exude a primal identity. Their richly and extensively modeled forms give the impression of having been dug from the earth, but on closer inspection they gradually transform into recognizable shapes – a voluptuous torso, a craggy visage, a horse’s head or the foot of a god. The spirited, highly expressive surfaces and dramatically variegated patinas augment the sense of ancient, even prehistoric character. Accompanying his sculptures are Tucker’s equally vigorous and expressive large charcoal drawings. Emerging from dense, velvety shades of grey and black are the faces of soldiers, musicians, and warriors. William Tucker grew up in England and studied at Oxford and at St. Martin’s College of Art and Design. He began exhibiting his work in the 1960s and has had numerous solo and group exhibitions in London, the United States, and internationally. In 1978 he moved to the United States and taught at Columbia University and the New York Studio School, becoming an American citizen in 1985. He has received numerous awards and commissions over the years, including a Guggenheim Fellowship in 1981; a National Endowment for the Arts Award in 1986; a Sculpture Center Award for Distinction in Sculpture in 1991; a commission for a large-scale sculpture for Bilbao, Spain, in 1996; and the Lifetime Achievement Award at the International Sculpture Center in 2010. 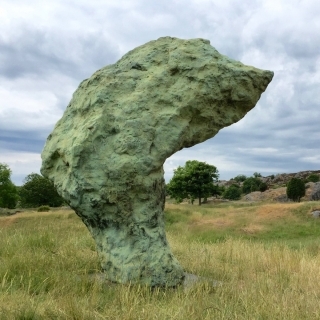 Tucker’s work is in many public collections, including the Guggenheim Museum and the Museum of Modern Art in New York; the Hirshhorn Museum and Sculpture Garden in Washington, DC; Storm King Art Center in Mountainville, NY; The British Museum and the Tate in London, and the Louisana Museum in Humlebaek, Denmark. Kelly, Julia. William Tucker: Unearthing the Figure. London: Pangolin, 2014.